If he had been around in the middle of the 20th century I’ll bet Henry Ford would have greatly admired country music superstar Johnny Cash. Why? Because Johnny was known as the “Man in Black,” and Ford, founder of the automobile company bearing his name, is often remembered for his famous dictum “They can have any color they want as long as its black,” in reference to his hugely popular Model T.
Such bravado was of little consequence to Ford at a time when the balance of power between customers and manufacturers was heavily weighted in favor of those producing goods and services, when consumers were thankful simply for the opportunity to buy products that hadn’t even existed just a few decades earlier. Today, however, the pendulum has swung dramatically in the opposite direction with customers, not producers, holding most of the cards in the purchase transaction. Technology, particularly the internet, has paved a road of customer knowledge and insight that leads directly to greater bargaining power. As a result it is absolutely vital for all companies, regardless of the industry in which they find themselves, to “Walk the line” as Johnny Cash would say and track their success from the ever- discriminating eyes of their customers. Companies must answer three questions when developing a Customer perspective for their Balanced Scorecard. The first is simply “Who are our customers?” Before we begin the task of measuring and monitoring our success from their vantage point we must determine exactly who it is we consider customers of our products and services. “What do those customers expect or demand from us?” Whether they’re buying hats, honeymoon trips, or hockey sticks, all consumers have certain expectations that must be satisfied should we hope to bring them back for more. Understanding what motivates people to buy our wares, be it quality, responsiveness, ease of purchase or a host of other possibilities, goes a long way towards creating a positive experience and cementing their loyalty with each and every purchase. Our final question in creating the Customer perspective is this: “What is our value proposition in serving our customers?” Before you run off to your Consultants’ dictionary to look up ‘value proposition,’ let me save you the trip by suggesting it simply means how you propose to provide value to your customers. why should they choose you over one of your competitors? What is it about your offering that makes them better off by choosing it? Traditionally, three distinct value propositions have been presented by companies hoping to attract customers to their goods and services: product leadership (offering the product or service with the latest and greatest features), customer intimacy (providing unrivaled service and offering a total solution to customers’ needs) and operational excellence (harnessing super-efficient operations to offer the lowest prices). Quick quiz - Which value proposition do you think Wal-Mart focuses on? Give yourself a pat on the back if you said operational excellence. Nordstrom gives us a great example of a customer intimate company, and finally, Intel and Sony are representatives of the product leadership class, companies that outperform through innovation. While every company will possess a core strength in at least one of the three value propositions it is important to offer customers all three. 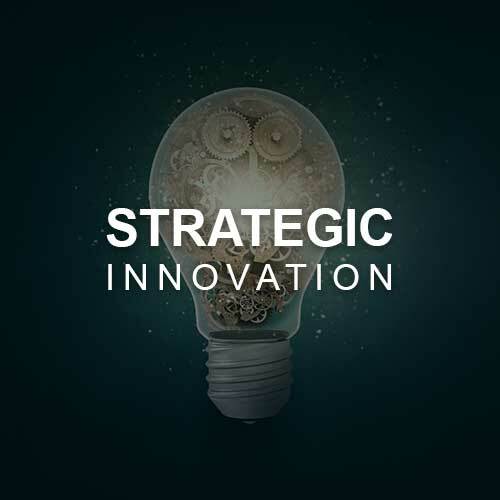 In today’s hyper-competitive environment companies that wish to get ahead and maintain their advantage must simultaneously devote themselves to innovation, outstanding customer care, and flawless execution. Even Henry Ford, despite his apprehensions and best efforts to avoid change, ultimately offered a rainbow of colors – the customer is always king! © Corporater Inc. All rights reserved.